Also known as the Blue-banded Bee, this beautiful native bee is a delight to have in the garden, especially if you grow tomatoes as it is an efficient buzz pollinator. 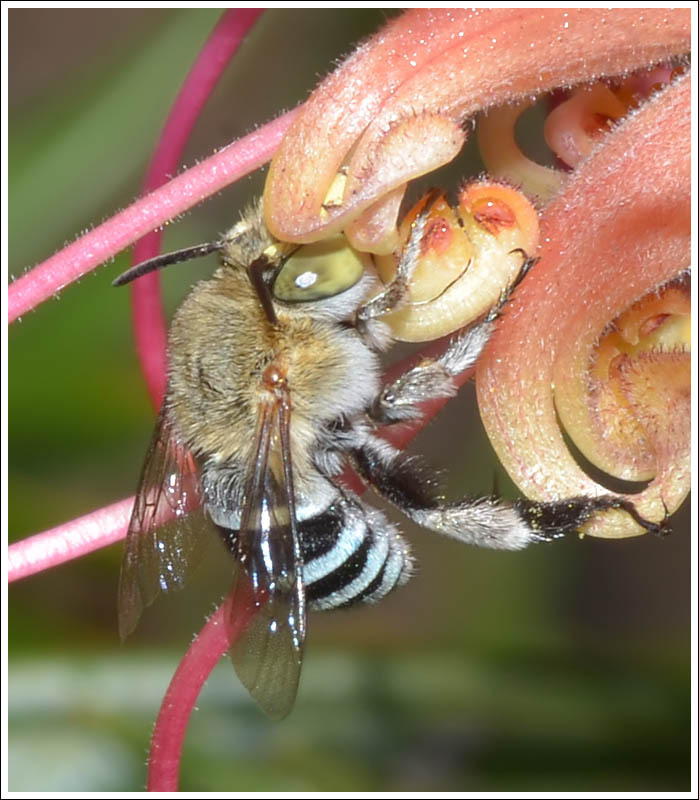 It is a solitary bee, the female digs a shallow burrow in clay soil, or mud bricks if your house is so constructed, which she provisions with collected pollen for her offspring. 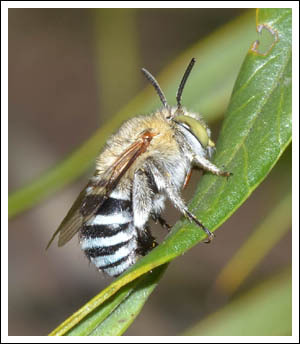 Some native plants, for example the hibbertias, sennas, and solanums require buzz pollination by insects such as the Blue-banded Bee. The adults die with the onset of the cold weather, but the next generation is snug inside the burrows waiting until the seasons change and the cycle begins anew. 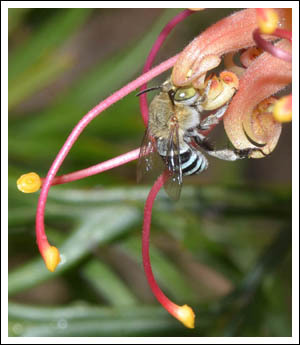 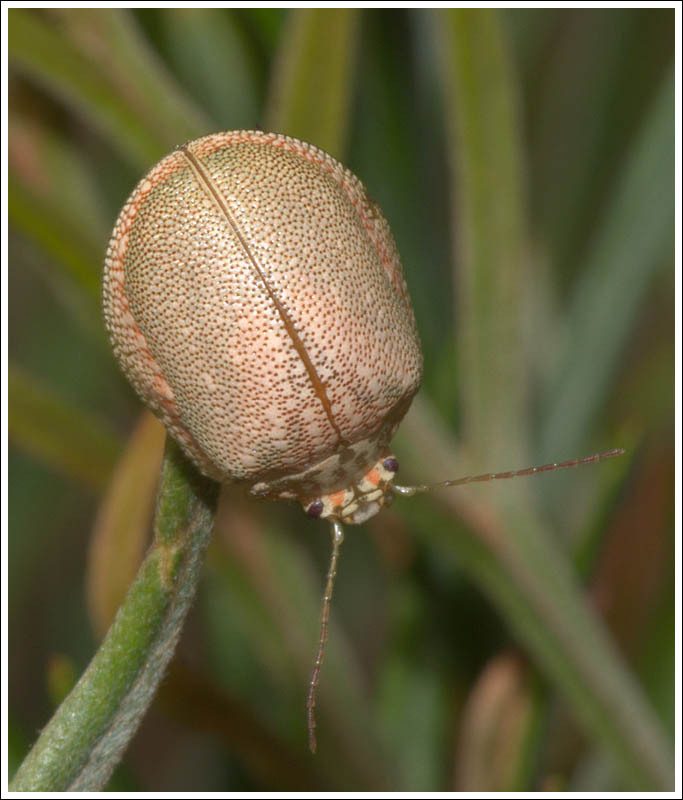 The photographs were taken at a banksii x bipinattafida grevillea that has been very popular with at least two bees, nectaring and resting. 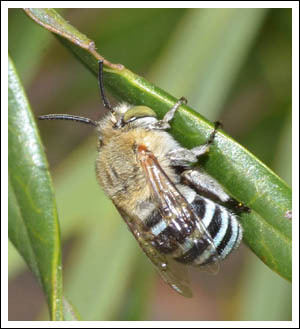 Reference and further reading, The Aussie Bee site. 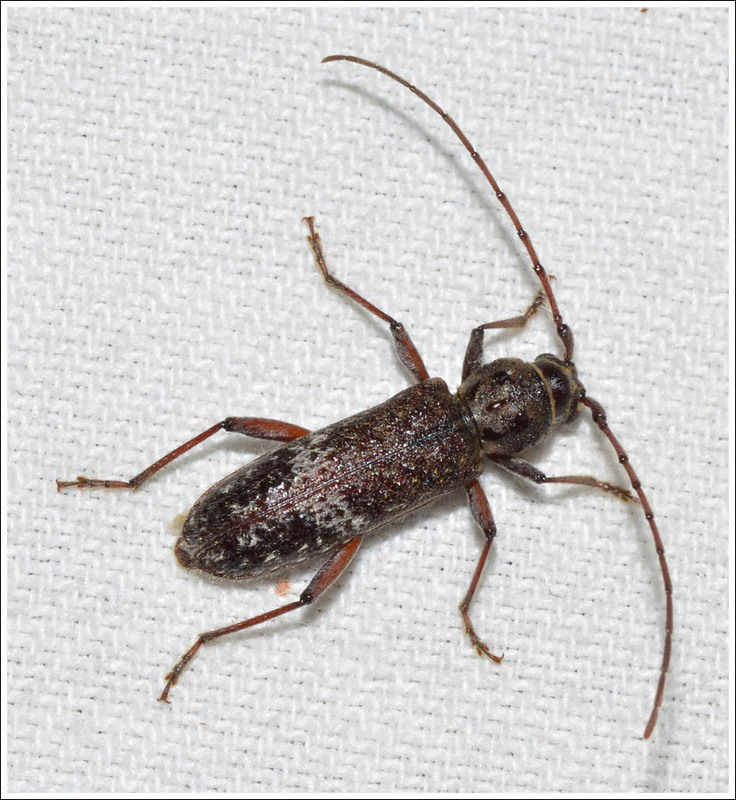 Posted on February 16, 2017 by TricarpaPosted in General Nature. 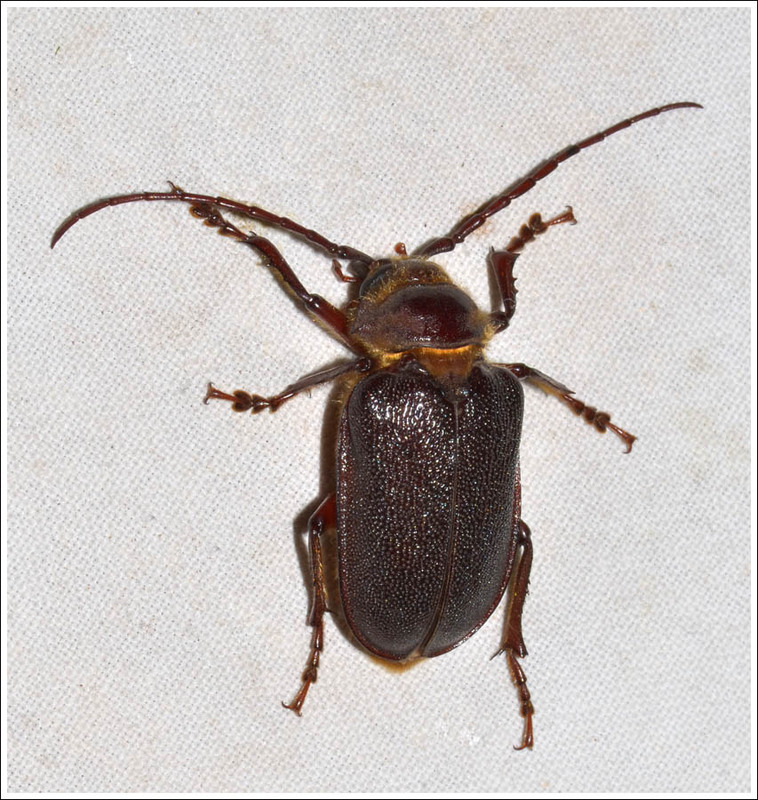 Many different beetles come to the moth light, at times they are in very large numbers and are a great nuisance to the moth photographer, blundering around and disturbing the settled moths. 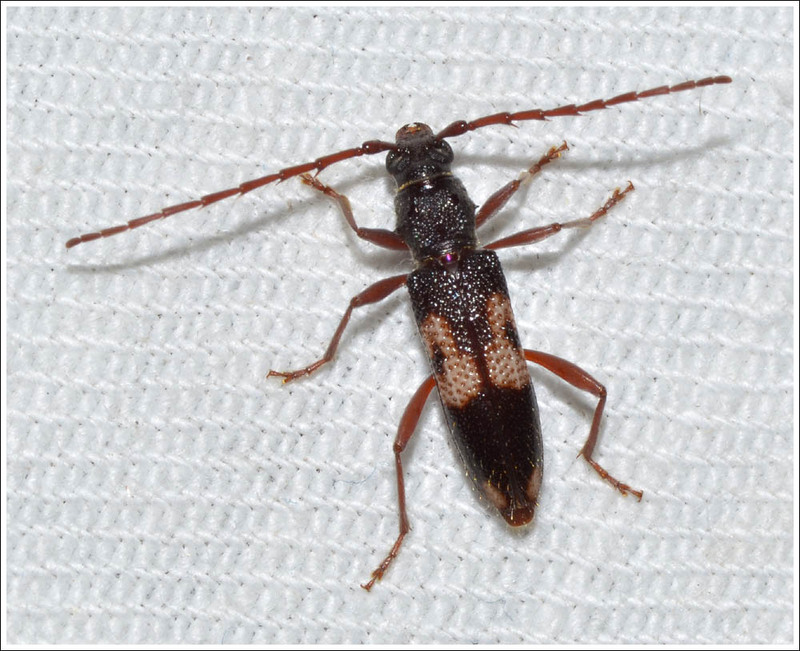 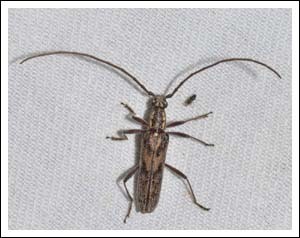 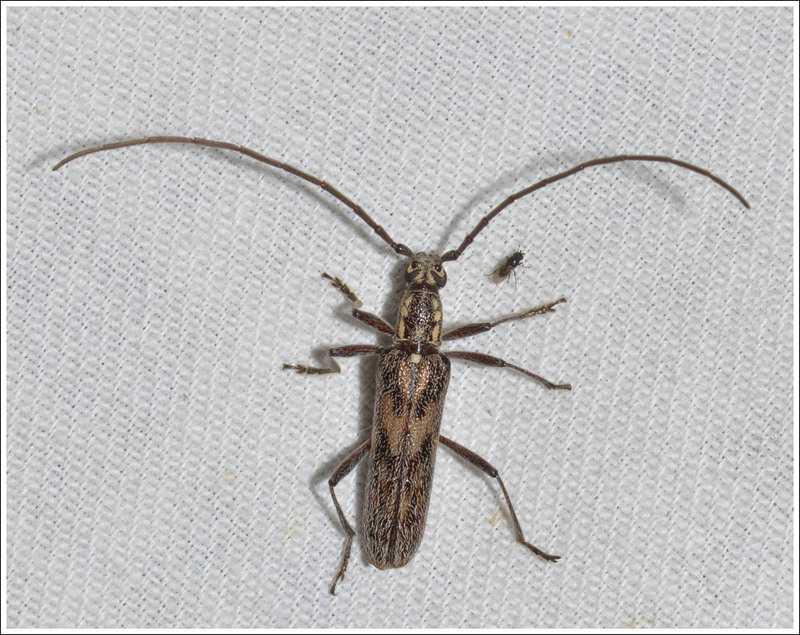 At other times smaller numbers come in and can be of considerable interest, this post shows a selection from a night’s mothing on Gladstone Creek, beginning with some longicorns. 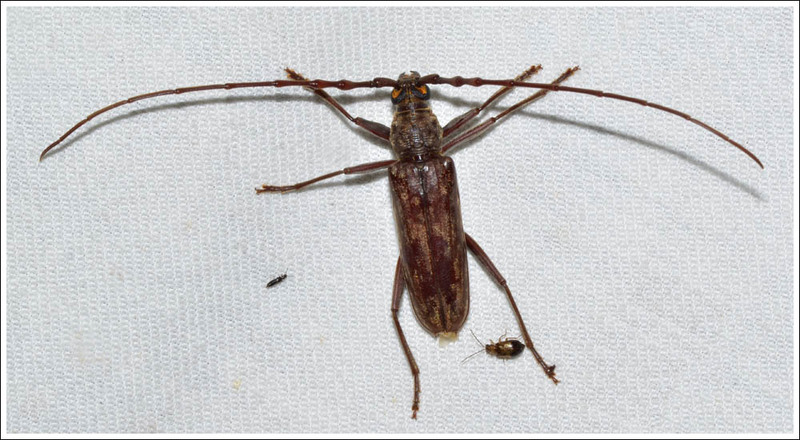 Paropsis leaf-eating beetles can be very destructive. In this part of Gippsland huge swarms of Christmas beetles used to defoliate the Forest Red Gums, then when the trees began to put out fresh foliage the paropsis beetles would appear to demolish the regrowth, putting the trees under great stress and doubtless contributing to the extensive dieback that occurred in some areas. That said they can be very attractive in appearance. 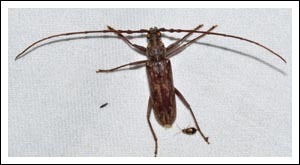 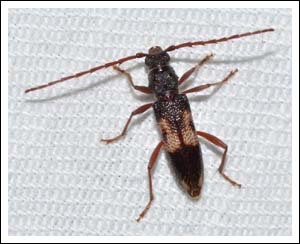 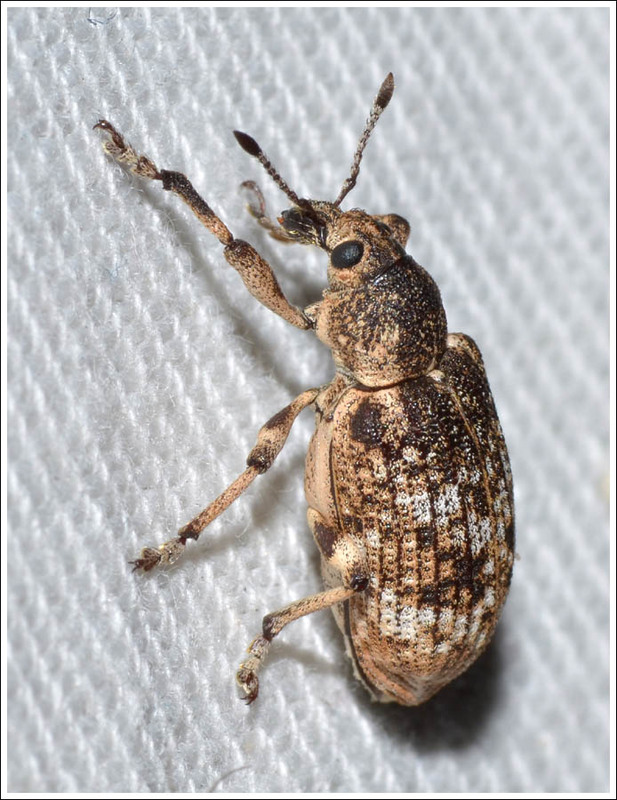 Thankfully, locally at least, that seems to be a thing of the past, perhaps we have the ibis flocks to thank for eating the Christmas Beetle larvae and effectively controlling the adult beetle numbers. 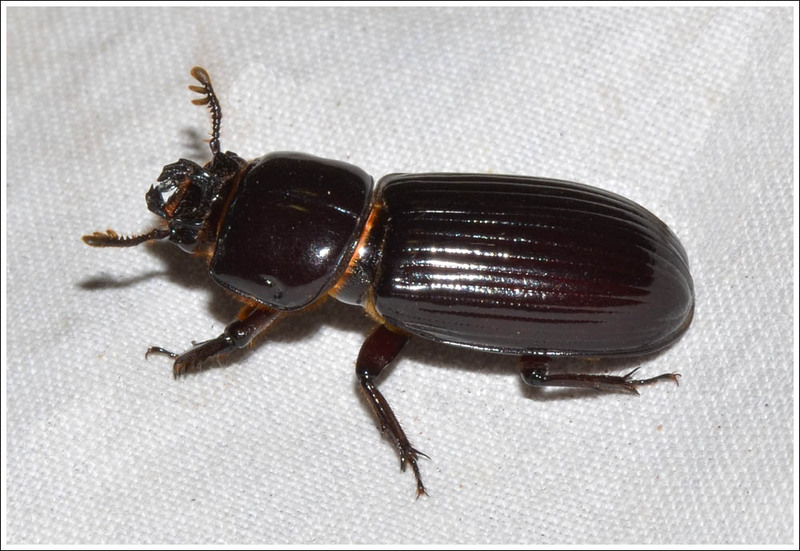 Bess Beetles often visit the light. 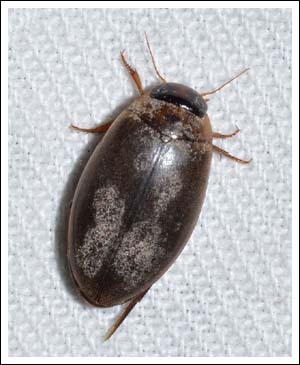 With the creek bone dry it was a little surprising to see a predacious diving beetle. 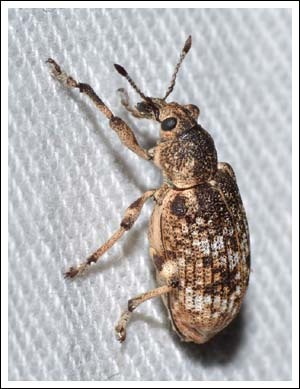 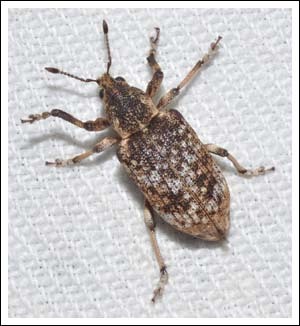 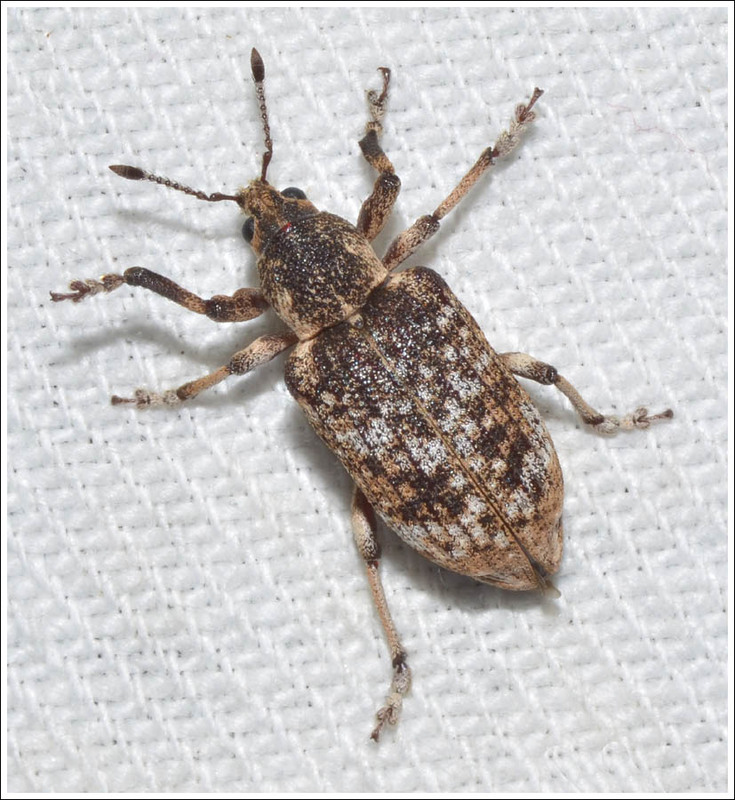 And finally, two shots of a weevil species. 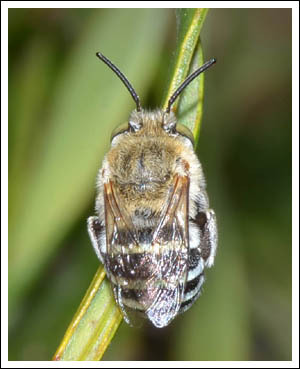 Posted on February 12, 2017 February 12, 2017 by TricarpaPosted in General Nature.